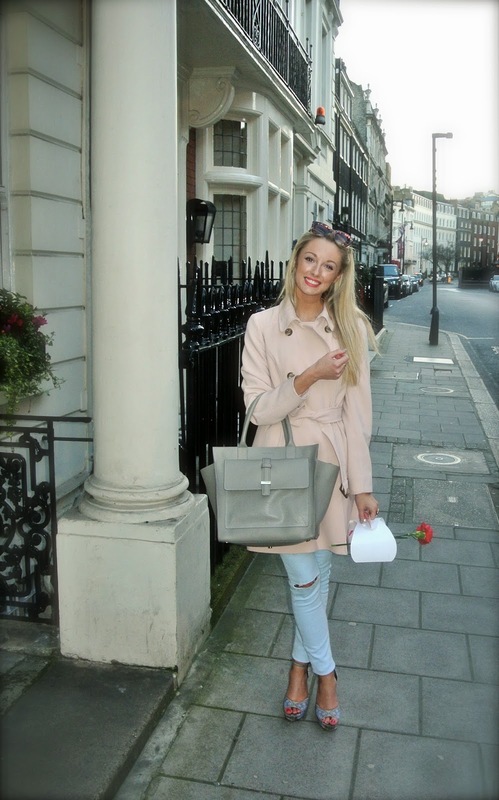 What better way to spend a sunny Saturday afternoon than a walk in Hyde Park followed by Afternoon Tea at The Chesterfield Mayfair! It’s starting to become a tradition that we choose a new Afternoon Tea venue in London each time we have a catch up, and after meeting at the artistic Sketch venue last time, we decided to try out a more traditional tea. From the second we stepped out of the taxi, the staff treated us so wonderfully, and we were seated in the bright Butlers restaurant with a quintessentially British atmosphere. The conservatory had been booked up in advance, but on sunny days like today, that is definitely the place to be seated. We started by ordering tea, and Jennie requested the Dancing Dragon; green tea leaves are sewn around jasmine, marigold and globe amaranth flowers and when placed in hot water; it slowly opens to release a flower and a floral infused tea. Sophie’s tea choice was a scrumptious Chocolate tea, while I chose the Organic Second Flush Assam. 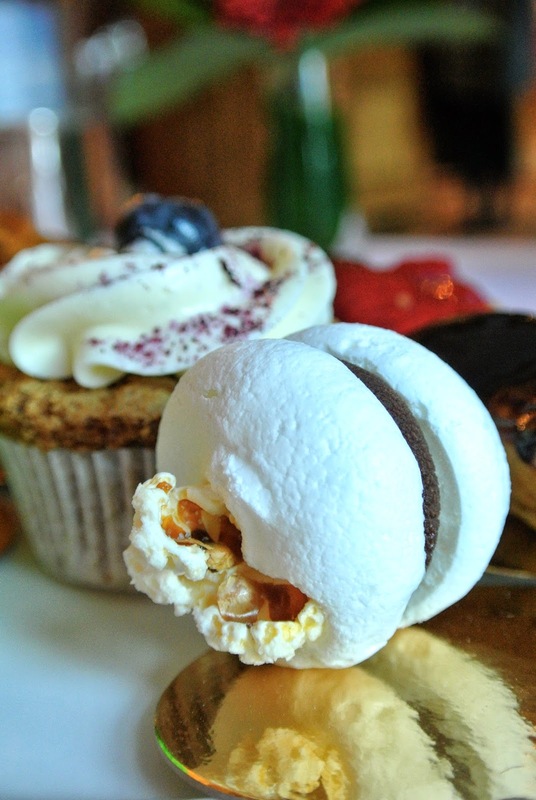 The Chesterfield is famous in London for having one of the best Afternoon Teas, and it has won the ‘Award of Excellence’ from the Tea Guild, for an ‘Outstanding Afternoon Tea’ for three years in a row, so we held high expectations for the food! 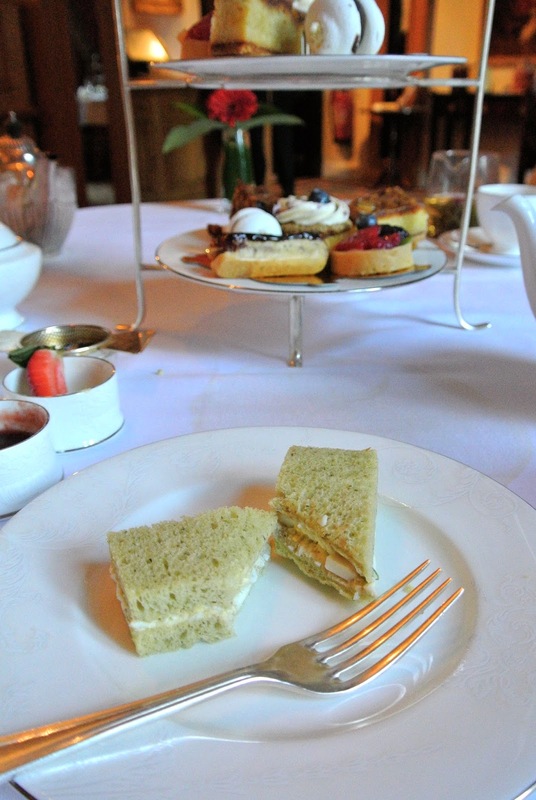 With so many unusual afternoon tea offerings in London, I was almost disappointed to see the simple cut finger sandwiches – but that was until I tasted them! The waiter explained each one, including Honey roast ham with cheddar cheese on onion bread, Roast chicken with mustard mayonnaise and almonds on white bread, Scottish smoked salmon with cream cheese on brown bread, Free range egg mayonnaise and watercress on basil bread, and cucumber and cream cheese on white bread. The egg mayonnaise was definitely my favourite – often quite bland, but on the basil bread it was scrumptious! We asked for seconds of the egg mayonnaise sandwich, and, although we had to ask three times, it finally arrived and was wolfed down straight away! 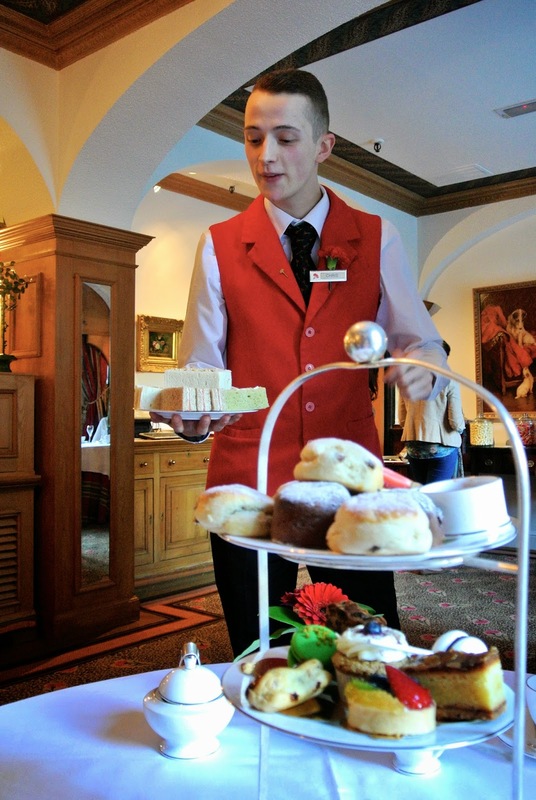 Next, the scones; freshly home baked plain and chocolate chip scones with jam and clotted cream – always an easy way to judge an afternoon tea, and I have to say that these scones were divine! Seriously light and fluffy, and not so big that they fill you up leaving no room for the sweets! Having said that, we did eat far too many of the scones and sandwiches, and were so full that we barely touched the sweet dish! Fortunately we were able to take them away, so I am still able to confirm that they all absolutely lived up to expectations, well and truly deserving their awards! Our favourites were the pistachio and chocolate ganache macaron, as well as the fruit tartlet and blueberry cupcake. All pastries and sweet treats were perfectly delicious, but personally I felt that they lacked that little extra something. With a traditional afternoon tea, I wasn’t expecting anything crazy or unusual like at The Sanderson or The Berkeley, but I would have loved to have been blown away by some serious flavour or unusual tastes. 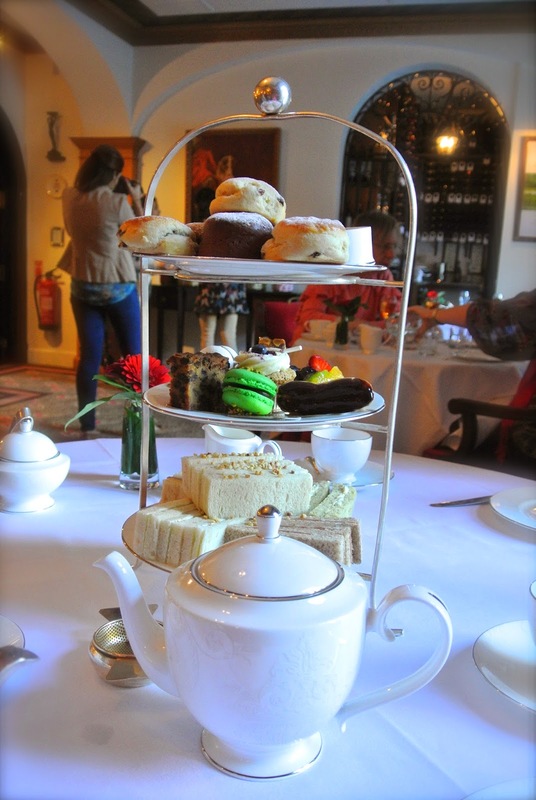 At £34.50 per person, it certainly isn’t one of the cheapest Afternoon Teas, but I still felt it was great value considering we could ask for refills as often as we wanted, and the food was all of high quality. If you are looking for a traditional afternoon tea, then I would certainly recommend The Chesterfield, but for me I love to be surprised and feel that they could do more to make this afternoon tea really special! An optimistically spring-time outfit for a sunny March afternoon! And the first outing for my new bag! 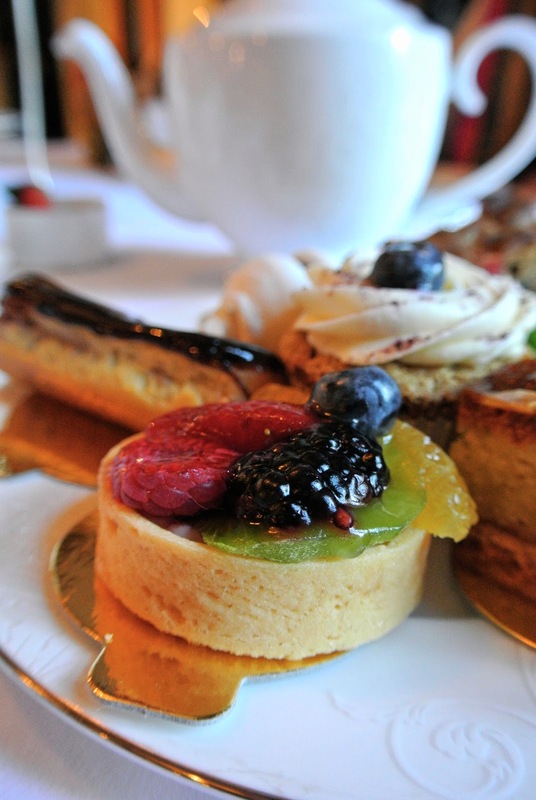 Where are your favourite places in London for Afternoon Tea? Previous Post Battle of the Coral Lip Crayons!